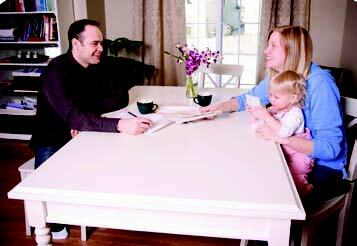 Auditors performed free in-home assessments for residents who volunteered to participate in the program. Why should cities, residents and utility companies work together to encourage energy conservation and efficiency? “If people are spending less on energy bills, they have more money to spend in their community,” explained Charles Grawe, assistant city administrator of Apple Valley, Minn. The town’s local government believes the entire community benefits from reducing the energy costs that have skyrocketed over the last few years. “We all win if we are not wasting money,” said Grawe. Minnesota utility companies have additional motivation: They’ve been mandated by the state to achieve a 1.5 percent annual energy savings. According to Mayor Mary Hamann-Roland, Dakota Energy Cooperative in Apple Valley teamed up with local government and residents to achieve this goal well before the imposed deadline. The Better Energy program was initiated under a Joyce Foundation grant given to four very different Midwest cities: Apple Valley, Minn.; River Falls, Wis.; Milwaukee, Wis.; and Grand Rapids, Mich. Each community developed an energy efficiency model that worked best for its community size and type, within an approximate budget of $100,000. 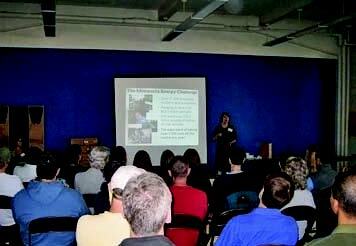 Most workshop attendees took advantage of a free professional energy assessment of their homes. As of 2011, the program had provided Apple Valley with roughly $437,000 in energy savings over the lifetime of the products. The program installed 16,680 low-energy CFL bulbs, 759 low-flow shower heads and 1,491 low-flow aerators. Over 165 households ― a surprisingly high 27 percent of all households that participated ― chose to undergo major changes, such as upgrading furnaces, boilers and insulation. Since the program’s initial implementation, utility companies have taken over the program and now run these services themselves. “We’ve removed the middleman,” said Grawe. Hamann-Roland also suggested focusing on the financial benefits rather than politically hot topics such as the environment. “Focusing on energy efficiency in terms of savings is really the best way to talk to everybody about this instead of going into climate change, which some people want to talk about and others have no interest,” she said. BE program components include community-based marketing, direct consumer action, one-stop insulation and air sealing, innovative feedback, web-based tracking and feedback, and contractor training and certification. Low-tech energy improvements for the home are quick ways to engage residents and help educate them on the value of energy efficiency, making future efforts at energy efficiency programs much easier to promote. It’s important to develop strategic marketing efforts. 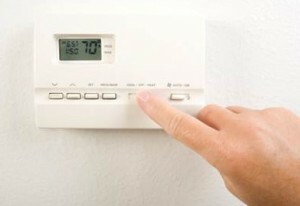 For example, publicize energy efficiency during cold/winter months when residents can see the value of it. Place signage in high visibility areas and activities, in addition to utilizing your community activists to get the word out. Social marketing, such as Facebook and Twitter, and extensive community engagement are keys to ensuring the long-term investment of residents in energy efficiency programs. Partnerships with local utilities and nonprofits committed to energy efficiency will reduce the cost and capacity burden on the city while automatically ensuring that other entities within the community are also invested in energy efficiency. Such partnerships also establish a culture of energy efficiency throughout the city. Tools that visually display efficiency improvements and lowered costs are useful in encouraging residents to continue with energy-efficient improvements. Additionally, a tool that displays a consumer’s energy consumption relative to others’ consumption in the community helps instill healthy competition.